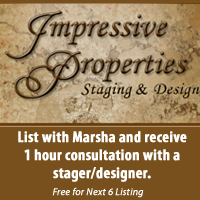 Wichita Real Estate Agent-Marsha Huebert-Real Estate with Family Friendly Service-Let Marsha Find Your Dream-Wichita, Ks. It is my Wichita Real Estate business goal to be the best Family Friendly Realtor in the Wichita, Kansas Real Estate market. My Motto is to ï¿½Seal the Dealï¿½ and give you a memorable Wichita Real Estate experience doing it. Your home is as precious to me as my own. Whether you are a First Time Wichita Home Buyer or Wichita Home Seller, I can offer you a Wichita Real Estate purchase, or Kansas Real Estate sales effort, that will result in a long term relationship as your Wichita Real Estate Agent. I am a Certified Residential Specialist with Coldwell Banker Plaza Real Estate in Wichita, Kansas. Only 4% of real estate agents in the United States have obtained this Specialist designation (CRS) It took me years to attain. I worked to gain that because I want to navigate your Wichita Real Estate transaction as smoothly as possible from start to finish. You have seen this Marsha Huebert Wichita Real Estate website as part of that commitment. If I can help your family in finding your dream home I gain great personal satisfaction. I am familiar with the Wichita Real Estate market and Housing Lenders to achieve FHA, VA and Bond loans. This also includes Conventional Real Estate Financing. In addition, the Wichita Real Estate market is one of the top in the nation. And if you sell you home with me as your Real Estate agent, know that I have affiliate professionals for Home Inspections, Pest Control, Insurance and a host of other Wichita Real Estate services to prepare for that sale. In either case, Marsha Huebert clients have access to the Wichita Real Estate services they need to maximize their Wichita Real Estate sale. Please contact me using the form on this site. There is no obligation, and I will not let you down. 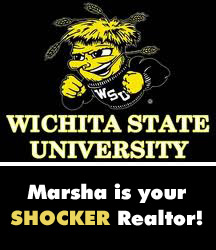 Looking for a hometown "Shocker" Realtor who can help new or current Wichita State University students find a new home? I am very familiar with the WSU area and I am ready to help get you settled before the new WSU semester begins.